We offer our services at absolutely zero risk. If for any reason you feel that our study resources have not lived up to your expectations, you could feel free to claim your refund. We extend 100% money back guarantee to our candidates if they are not satisfied with our products. We offer demo products for free downloads, so that you can get a gist of what we have in store for you in our complete package. Thousands of people have simply gone on to buy our products right after checking out our free demos. The comprehensive study material that we provide will help you gain confidence, CCNA, CCNP, SCJP, MCSE, HP APC, Security+, 11g DBA or any other. Only PassCertification is the trusted name that offers you the latest updates on all the major high level IT certification courses. 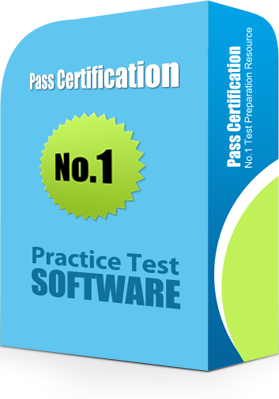 You will never be taken aback by surprise in the exam hall if you use PassCertification products. You can simply trust our products to help you ride smoothly through your exams. we can progress in this industry only by providing the best quality to our customers.